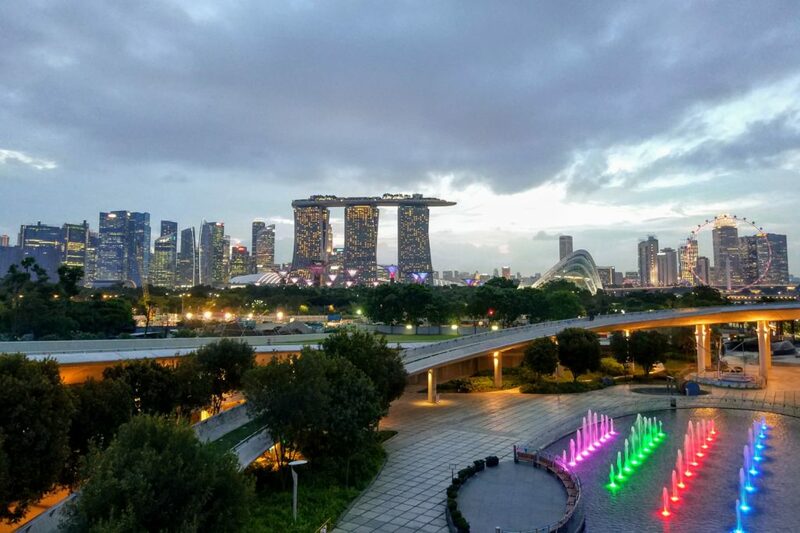 Singapore is a great place for a 1 day layover. You can fill a day with many of the city’s amazing highlights. The airport has baggage storage for s$11-20/day depending on the weight. Citizens of all countries not listed here can get a free visa on arrival for 30 days. You can take the metro straight from Changi Airport. You’ll be tempted to buy the s$10 1-day unlimited metro pass, but skip this. 4 metro rides total to about s$8 so it’s cheaper al-carte. Plus, you won’t have an additional s$10 deposit to collect on returning to the airport. This route is about 20 km. I can do it in 10 hours at a quick pace. If you stop to eat, relax, get a view of the city from a skyscraper, then budget for 12 hours. What if I have an 6 hour layover? No problem! Limit yourself to the downtown walking route. What if I have a layover less than 6 hours? You’ll be cutting it close. It may take 1 hour to get to the city, 1 hour to get back, and 1.5 hours to get to the departure gate. That leaves you with 2.5 hours in the city, assuming no delays. 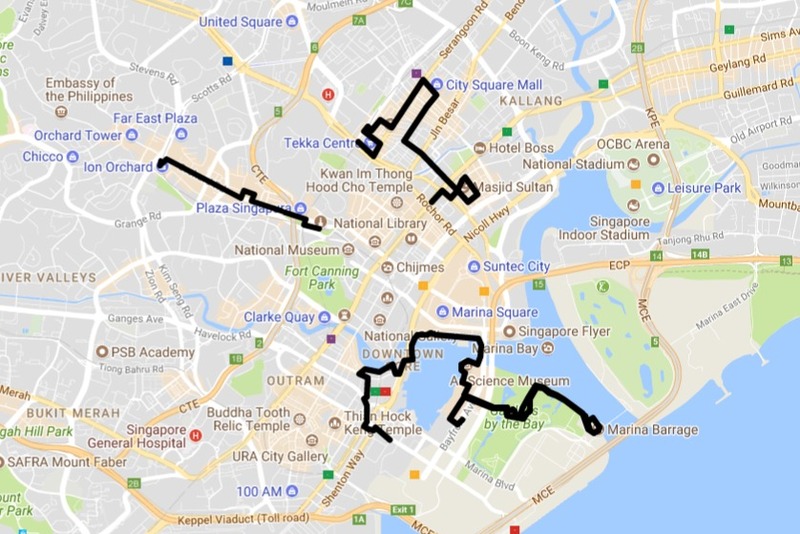 Google Maps is excellent in Singapore. The highlights, parks, and photo ops are easily found on the map. Take the metro to Bugis. Walk northeast to Arab St until you see (or hear) the mosque. This area is more than just one street, so walk around. 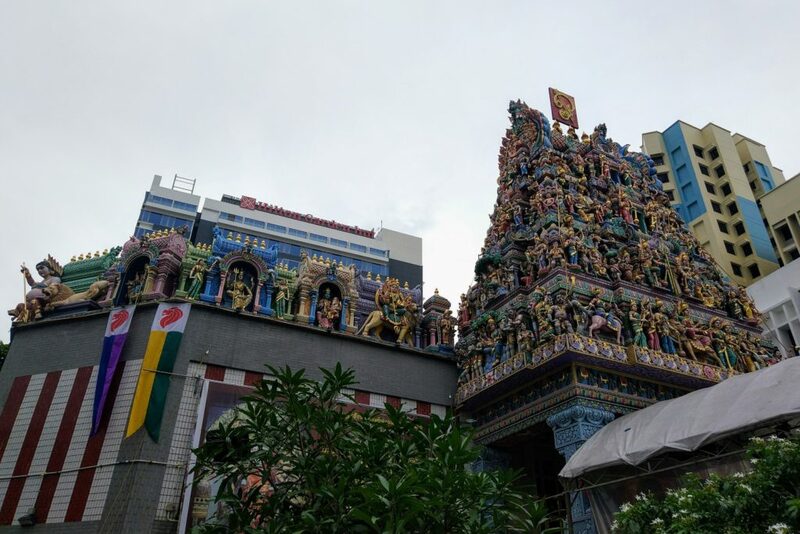 Then head northwest to Little India to see how the Indians live in Singapore. You should end near the Little India metro station. Take the metro from Little India to Dhoby Ghaut. Orchard Road is the shopping center of Singapore. I’ve never seen so many upscale malls in my life. You’ll see at least 25 malls on this road. One of the metro exits leads into a mall. Stop in as many malls as you have patience for. You’ll end at the Orchard metro stop. Take the metro from Orchard Road to Newton, transfer to the Blue Line, and take it to the Downtown stop. Walk through the Telok Ayer Food Market on the way to the Boat Quay. The Boat Quay has some expensive restaurants with a good view. 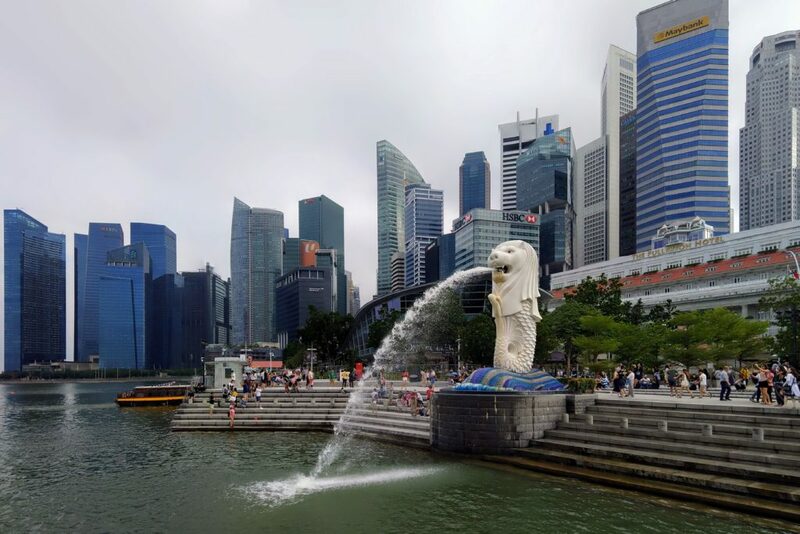 Walk along the waterfront to Merlion Park for a view of the skyline. Then across the Esplanade Bridge towards the Helix Bridge. Cross that bridge to get to the Art Science Museum. Some floors of the museum are free. Wander through the enormous SkyPark building. If you have the money, you can grab a cocktail from the top for an excellent view of the city. You’re headed towards Garden in the Sky. This park has hours worth of exploring. If you have the time and money, go into the Skyway, the Flower Dome, and Cloud Forest. If it’s almost sunset, you can walk to Marina Barrage for an excellent view of the city at dusk. Finally, walk back to SkyPark to the Bayfront metro stop and head back to the airport!